West Florida Yachts would love to guide you through a personal showing of this 110' Horizon 2012. 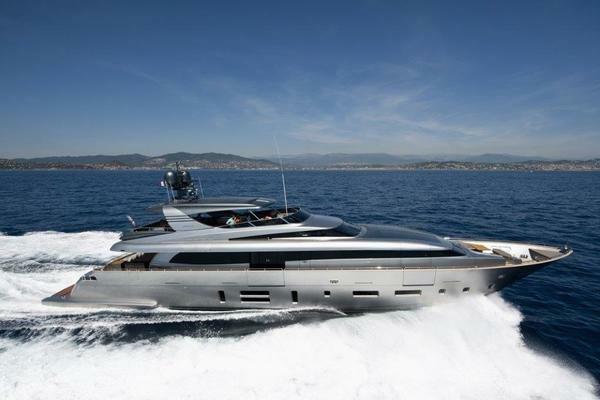 This yacht for sale is located in Fort Lauderdale, Florida and priced at $8,950,000. For a showing please contact us by filling out the form on this page and we will get back to you shortly! Accommodations below deck include a full-beam master stateroom, forward VIP stateroom and two guest staterooms, one port and one starboard – all staterooms feature en-suite heads. The master stateroom design focuses on both real and implied textures, which delicately contrast each other and still provide an air of lightness to the space. A “his and hers” master head, connected by a shower room with granite floors and walls and a rain shower head, allows for privacy when desired. The VIP stateroom retains the sense lightness with her neutral interior décor, and full height mirrors to port and starboard create a more open feeling for the room. In both port and starboard staterooms there are single twin beds that easily slide together to form a double bed if necessary. 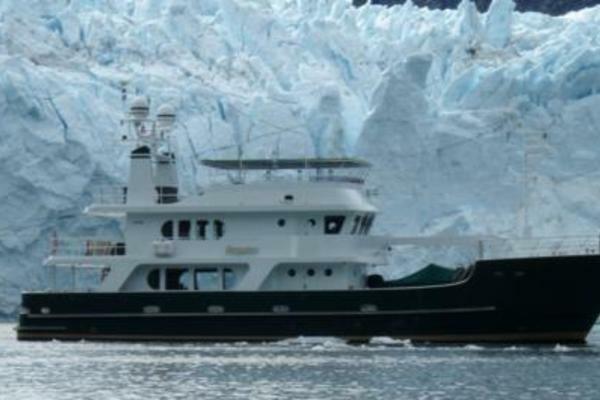 An independent crew area is located aft of the engine room and includes two staterooms and two crew baths both en-suite. Access is from the aft deck centerline door or through a hidden staircase on the portside of the salon. There is a laundry area and crew lounge is located in the same space.